Predicting the World Cup winner is definitely no easy matter but choosing the World Cup Golden Boot winner is a little more straight forward. 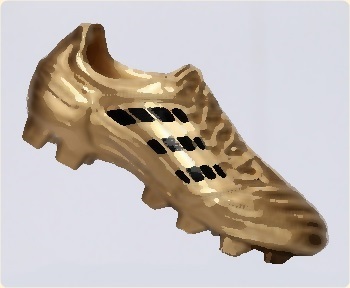 The Golden Boot, as the name may suggest, goes to the World Cup top-scorer, if players are tied, as we saw in 2010, assists get taken into consideration. So who are the players to back in 2014? Lionel Messi scores goals, his 274 goals in 264 games for Barcelona over the past five years proves that, while 18 goals in his last 16 Argentina appearances show that he is now replicating club form for country. The diminutive forward can fashion a chance out of nothing and with Group F opposition coming in the form of Bosnia and Herzegovina, Iran and Nigeria, you would expect the forward to amass a healthy goal tally in the group stages alone. You would have thought that after his fantastic season with Liverpool, Luis Suarez would be in with a shot. However, that all depends on whether the striker recovers from his knee injury, at the time of writing it is reported that it is pretty touch and go at the minute. If, and at the minute it is a pretty big if, Suarez can arrive at the World Cup fully fit, then he will tear through opposing defences. Goals and Cristiano Ronaldo are synonymous. The Portuguese ace just cannot stop scoring. For the third consecutive season the ace will have a record equal to, or better than, a goal a game. With 49 goals for Portugal, he is his countries all-time record goal-scorer and you can expect him to be hungry to extend that by as much as possible. He is a big game player and you can expect the Real Madrid man to be salivating at the thought of going up against Germany, Ghana and the United States. He isn’t the best player in the world for no reason and more worrying for opponents is that he is injury free. Ronaldo should have a very good chance of finishing top scorer. Neymar’s international goal record for Brazil is phenomenal. With 30 goals in 47 games the Barcelona forward averages 0.64 goals a game for his country, that is the fifth highest average of any Brazilian footballer and better than the brilliant Ronaldo. With the countries expectations weighing firmly on his shoulders, the 22-year-old will either stand up and be counted for or buckle under the pressure. His performances in last year’s Confederations Cup suggest that he will stand up and be counted. His Group A opponents are Cameroon, Croatia and Mexico and without taking anything away from those sides, you would expect Brazil, and Neymar, to steamroll them. Spain’s Diego Costa and Colombia’s Radamel Falcao are both struggling with injury but, like Suarez, if they manage to shrug it off before the World Cup they should be in amongst the goals as well.